Sickened by the contamination of their water, their air, of the Earth itself, more and more people are coming to realize that it is capitalism that is, quite literally, killing them. It is now clearer than ever that capitalism is also degrading the Earth s ability to support other forms of life. Capitalism s imperative to make profit at all costs and expand without end is destabilizing Earth s climate, while increasing human misery and inequality on a planetary scale. Already, hundreds of millions of people are facing poverty in the midst of untold wealth, perpetual war, growing racism, and gender oppression. The need to organize for social and environmental reforms has never been greater. But crucial as reforms are, they cannot solve our intertwined ecological and social crises. Creating an Ecological Society reveals an overwhelmingly simple truth: Fighting for reforms is vital, but revolution is essential. Because it aims squarely at replacing capitalism with an ecologically sound and socially just society, Creating an Ecological Society is filled with revolutionary hope. 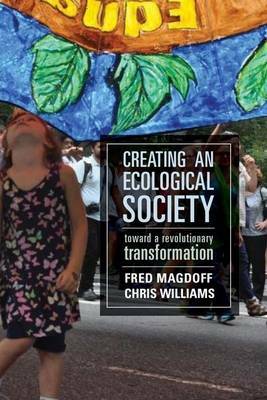 Fred Magdoff and Chris Williams, who have devoted their lives to activism, Marxist analysis, and ecological science, provide informed, fascinating accounts of how a new world can be created from the ashes of the old. Their book shows that it is possible to envision and create a society that is genuinely democratic, equitable, and ecologically sustainable. And possible not one moment too soon for society to change fundamentally and be brought into harmony with nature."